Rooney Mara's casting as Native American princess Tiger Lily in new film Pan is slammed on social mediaCritics on social media are less than happy about Wednesday's news that Rooney Mara has been cast as Tiger Lily in Pan, a live-action adaptation of the classic fairytale. And they are taking to Twitter and other Internet sites to complain, according to The New York Daily News on Friday. It quoted another as crediting the 28-year-old with being an 'an incredibly gifted, insightful artist. But come on. 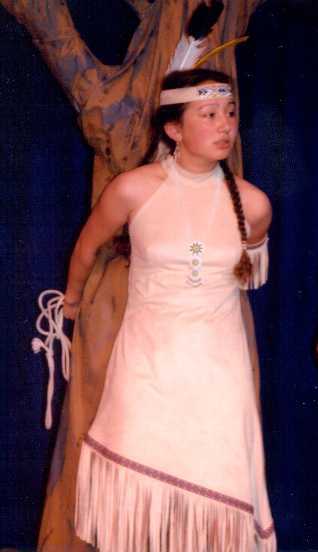 You couldn't find a Native American actress to play Tiger Lily?!?! 'Is #NotYourTigerLily next? By Soraya Nadia McDonaldFirst there was #NotYourAsianSidekick. Those Twitter hashtags were created by online activists in protest of stereotypical characterizations of Asian and Native American people and the racial microaggressions they encounter. #NotYourMascot trended during the Super Bowl, and #NotYourTonto trended during the Oscars.Native Americans Demand Warner Brothers to Reconsider Casting of Rooney Mara for Role of Tiger Lily in Peter Pan remakeEradicating Offensive Native Mascotry, a group of Native parents and their allies from across the country are asking Warner Brothers Pictures and director Joe Wright (Atonement, Hanna) to reconsider the casting of the actress Rooney Mara for the role of Tiger Lily. To this end they are conducting a “Twitterstorm” and have already trended the hashtag #NotYourTigerLily nationally to make their concerns about this historically problematic role of a Native American princess heard. The depiction of a Native American tribe the Pickaninnies in the Disney version of Peter Pan is a regressive and stereotypical portrayal of Native American men as savages who speak in simple guttural speak and the portrayal of the silent "Indian Princess" Tiger Lily is also stereotypical and is one that most Native parents do not want their children to see. The Native parents of EONM were very disappointed that Disney chose to rerelease the film in 2013. "What Disney tried to teach Native girls through Tiger Lily was that as native women, they were to accept violence and remain silent. They were shown that even as children they would be sexually objectified and that they needed to play into that role. They were taught that Natives were big "Spoofums" that could not be trusted and that they lacked the intelligence to protect them, that their only chance of rescue would come from the white man." By Alex StedmanWhile the casting announcements for Warner Bros.’ Peter Pan remake “Pan” have been rolling in, one in particular caught the eye of activists. The studio cast Rooney Mara as Tiger Lily, and thousands have taken to a Care2 petition to protest the choice of a white actress for the Native American role. More than 4,200 signatures, out of their stated 5,000 goal, have been received. “This casting choice is particularly shameful for a children’s movie,” the petition reads. “Telling children their role models must all be white is unacceptable.”Comment: For more on the subject, see Redeeming Tiger Lily in Pan and Whitewashing Tiger Lily in Pan. Below: A previous Tiger Lily.